Home» tips and tricks» How to lock whatsapp in iphone 7 7s with jailbreak? Many people search a lot to lock their Whatsapp conversation from others, so we will be discussing the complete way that How to lock Whatsapp on IPhone. Protecting your important files from other people is one of the most important thing. Every one has always got important & secret files, documents, contacts, messaging, photos, gallery images, etc. If you are PC user, then it is easy for you to protect your files from others as there are numerous folder/files lockers available. Same goes for Android users as there are numerous locks like App lock, Message lockers, Lock for Whatsapp etc. But what for the users of Iphone 4, 4s or 6s etc. How they will lock their important conversation of Whatsapp from others. The method described in this article is quite simple & you can easily follow along with article to lock Whatsapp. 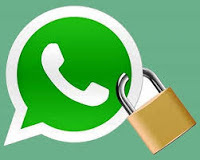 Also learn How to secure Whatsapp messages in Android phone? 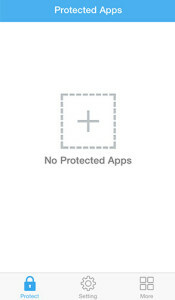 You must have Jailbroken iphone in order to install iApplock app. 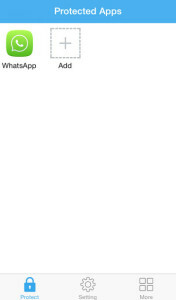 Also install Whatsapp messenger on your device. 1- Launch Cydia app installed on your Iphone. Now, go to search button & search for iapplock tweak. Tap the install button in order to install it. You must have Iphone 7 in order to install this app. Please note that it is not working on Iphone except 7. 2- Now search for iApplock App in your phone & launch it. 3- After opening, you will see the window as shown in the image below. 4- Now, click on Tap button in order to add Whatsapp there from the list of apps installed on your iphone 7. 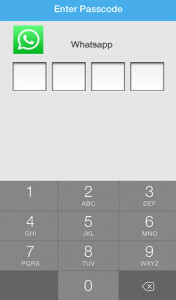 You can also add any other app to lock it by tapping the + Button. 5- After that it will take you to the settings option. You will have to set password pattern there so that any time, if you wanted to launch whatsapp, you will have to apply that password pattern. 6- Your whatsapp has now been locked under password. Now, nobody will be able to access your personal conversation. You can perform same process to lock any other important app like Facebook, Skype, etc. How to fixed Hacked phone?